US Attorney General Jeff Sessions says he will appear before a Senate panel in response to James Comey's testimony. He will appear before the Senate intelligence committee on Tuesday, he announced in a letter. He said the decision had been made "in light of Mr Comey's recent testimony". Former FBI director Mr Comey told the panel this week that he had asked Mr Sessions to "prevent any future direct communication between the president and me". 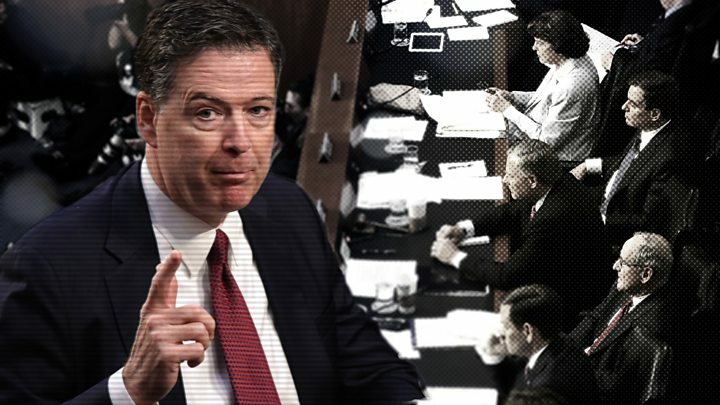 The testimony made headlines around the world, as it was the first time Mr Comey had publicly given his side of the apparent fall-out between himself and US President Donald Trump in the run-up to his being fired in May. In his letter on Saturday, Mr Sessions said, "It is important that I have an opportunity to address these matters in the appropriate forum" which he said he believed to be the Senate intelligence committee. He had been due to appear before the Senate and House appropriations subcommittees on Tuesday. He said in the letter deputy attorney general Rod Rosenstein would attend instead. 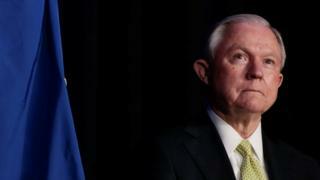 Mr Sessions removed himself from the FBI's inquiry into alleged Russian meddling in the US election back in March after it emerged he had met Moscow's envoy during last year's White House race. Mr Comey told the Senate there were a "variety of reasons" why Mr Sessions's involvement in the investigation of Russia's alleged interference would be problematic. However, he said he was unable to speak about them in an open session of the hearing. Mr Comey also told the Senate that the Trump administration's comments about him and the FBI were "lies plain and simple". He said he was "confused" by the "shifting explanations" for his sacking, which came as he led an inquiry into any links between the Trump campaign and Moscow. 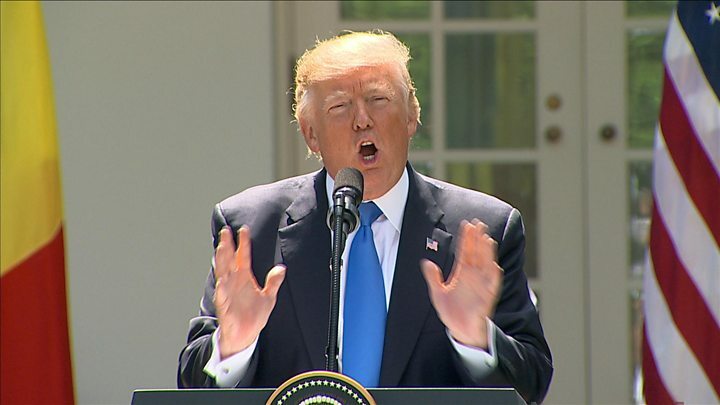 President Donald Trump later said he never sought to impede the inquiry, and accused Mr Comey of saying some things that "just weren't true". The president has said he is "100%" willing to speak under oath about his conversations, denying he asked for Mr Comey's loyalty or for the inquiry into former White House aide Michael Flynn to be dropped. Mr Trump went on to say he was considering releasing further information about possible recordings of the conversations between himself and Mr Comey. The House panel requested that if the recordings existed, they should be submitted by 23 June.